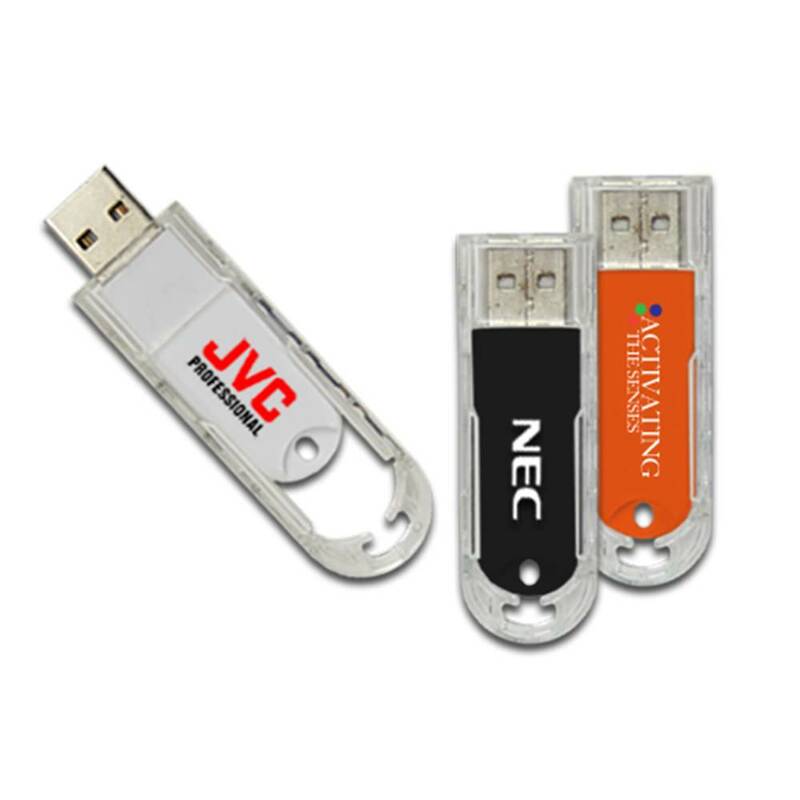 Thin out your data with the sleek and efficient Slim USB Drive! 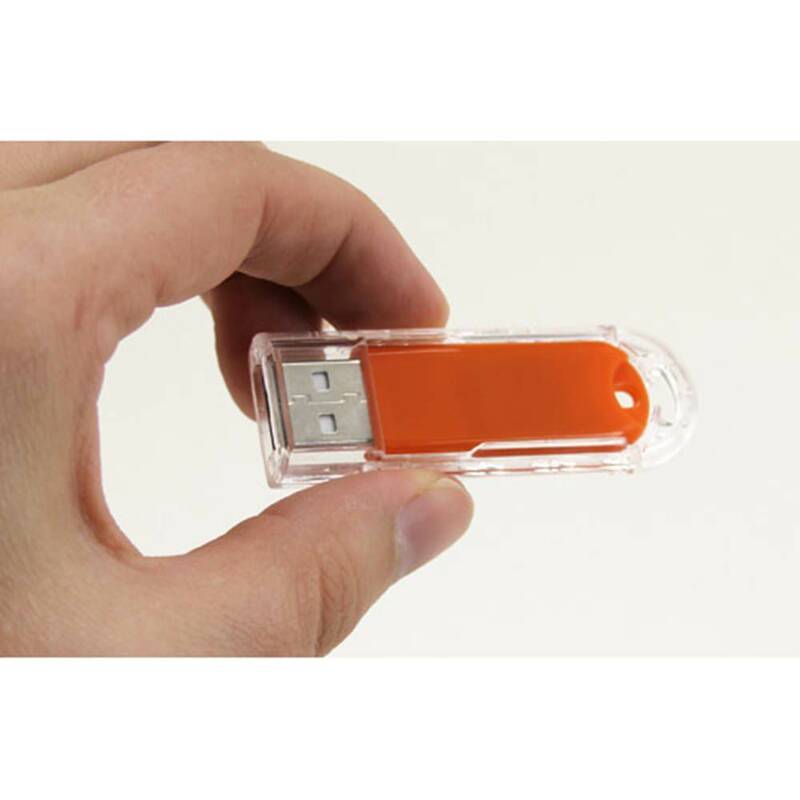 This narrow Hi-Speed USB Drive is made out of a hardy plastic and comes in a variety of colors. The drive is accessed through a sliding design: Pop out the slider to use your driver, and then slide it back in to keep your drive safe and sound. The Slim drive comes with a built-in keyring loop for easy transport. It’s time to trim the fat from your USB drives and go Slim! If you’re looking for a drive that isn’t thick and bulky, the Slim USB Drive should be thin enough for you. Its design is sleek and efficient. The Slim drive features a narrow, slender profile and a built-in keyring loop for easy transport. The keyring loop allows you attach the Slim to belt loops, keyrings, straps, laptop bags, and anywhere else it’d be handy to have this drive close at hand. The drive is made out of a durable plastic and comes in a variety of colors: White, black, orange, and a custom Pantone color. It’s a capless drive, so you don’t have worry about losing any part of it! The drive is accessed through an easy-to-use and convenient sliding design. 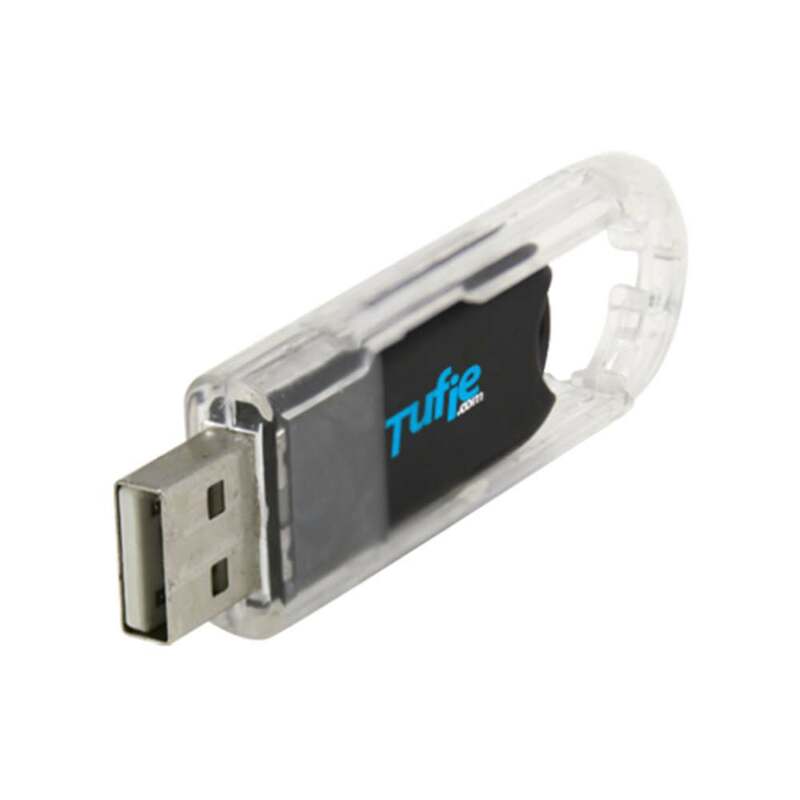 Retract the slider back into the plastic body and it’ll keep your USB drive safe from harm. 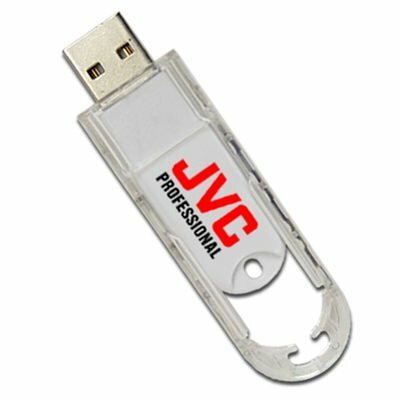 The Hi-Speed USB Drive is compatible with PC, Mac, and Linux. It has a shock resistance of 1,000G, up to ten years of data retention, and a limited lifetime warranty. It has storage capacities ranging from 128MG to 32GB, perfect for storing your documents, pictures, music, videos, multimedia, presentations, and other essential files. Order the Slim USB with free shipping and it should arrive within 10 business days. 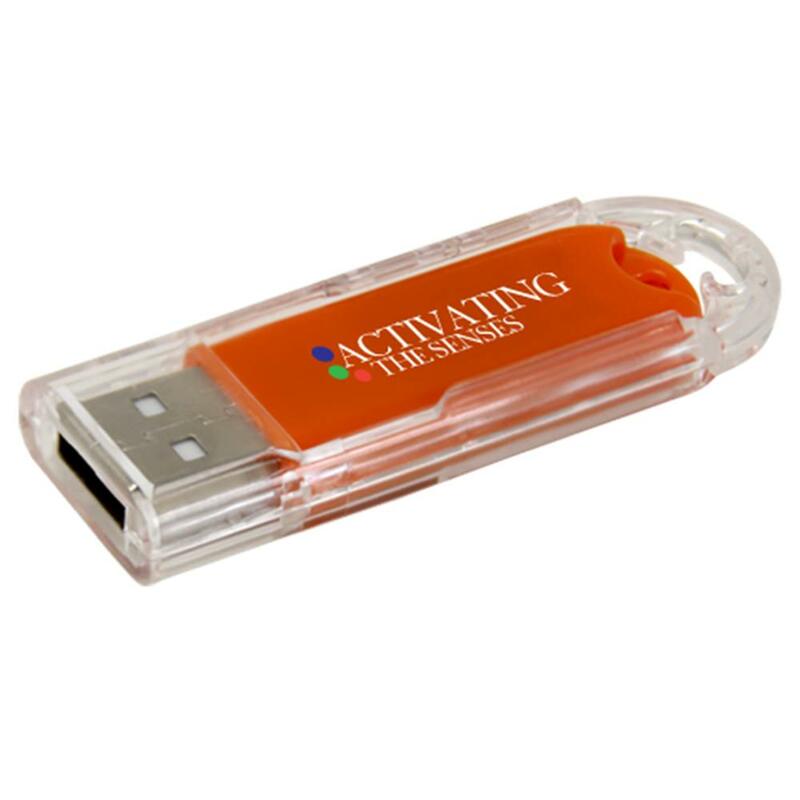 These custom branded flash drives come with Free 4-Color Silkscreen printing so you can put your logo or personal brand on it.